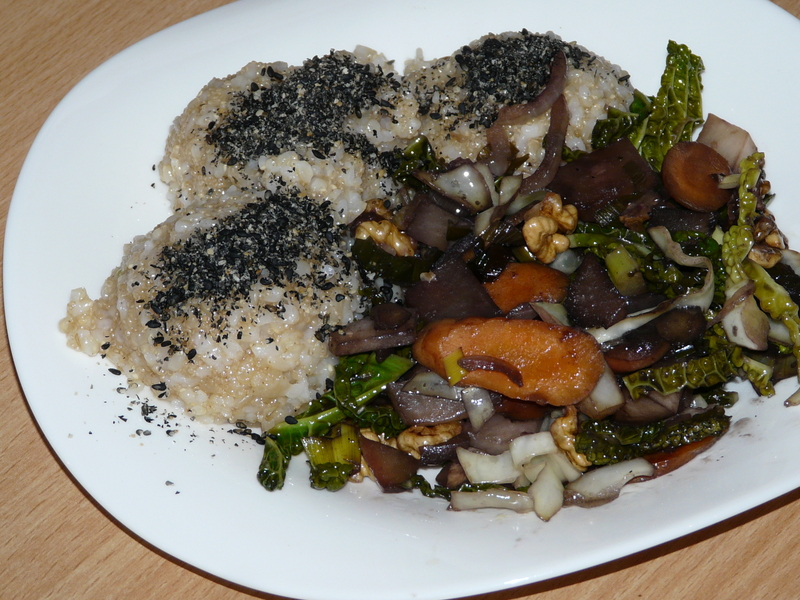 I usually also sautee some vegetables on oil as a base – here I used my most common pair of onion and carrot and I also added in parsley stems (don´t throw away those guys!). Then I tossed in the hiziki (first soaked for at least half an hour in water, then drained and rinsed), poured in water to nearly cover the veggies and simmered it all for about 30-45 minutes under a lid on a low flame. Near the end I added a handful of roasted walnuts and seasoned the dish with some salt, shoyu soy sauce and apple cider vinegar. 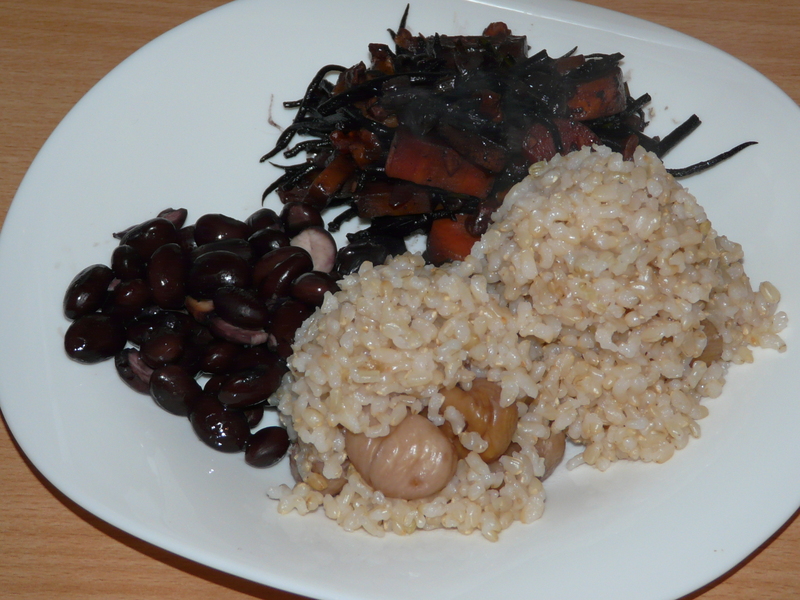 I served the seaweed with rice pressure cooked with chestnuts (dried ones, so I first had to soak them overnight) and some plain black beans, cooked only with salt.